No matter the season, it’s taco season(ing). Seriously though. Is there anything as satisfying year-round as a classic American taco: soft or crunchy, beef or turkey, piled high with the toppings of your choice? It’s the ultimate democratic food: everyone gets exactly what they want. 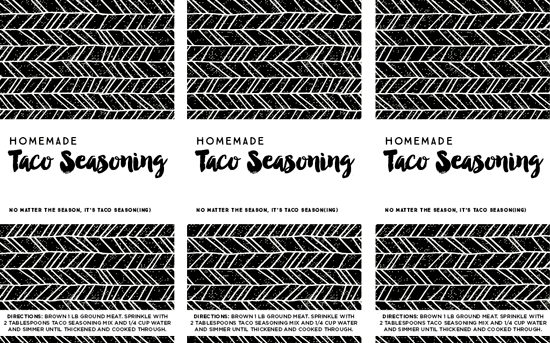 Just in case you thought that all taco seasoning comes from a little paper packet, here’s proof that you can, indeed, make it yourself. 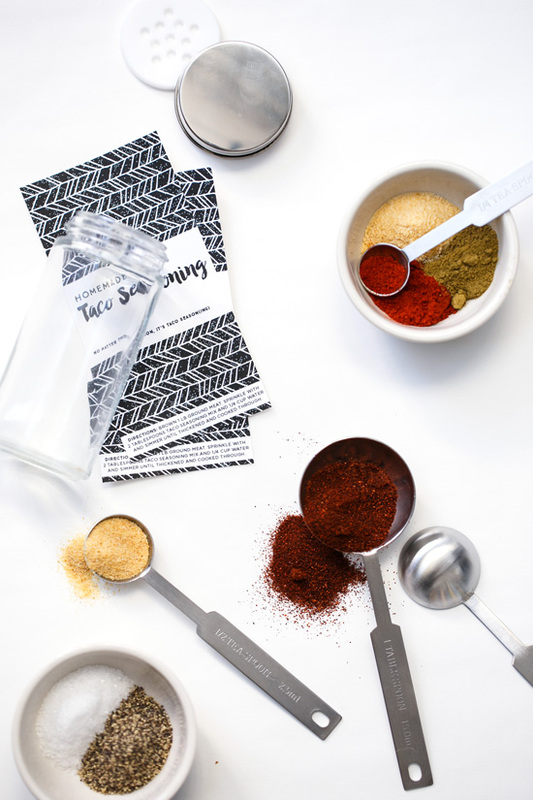 Making your own seasoning mix also means you can customize it to your personal tastes. 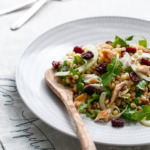 This particular mix is our favorite, flavored mainly with Ancho chile powder for a subtle smokiness and spice, with hints of cumin, oregano, paprika, and cinnamon (yes, cinnamon!) for added depth. But feel free to tweak and adjust as you please. Maybe you like it spicier, in which case add some Cayenne. Sweeter? Add brown sugar. 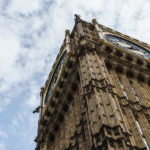 Smokier? Up the ancho and smoked paprika, and even sub out some of the sea salt for smoked salt. Just don’t forget to keep a bottle (or two) for yourself. 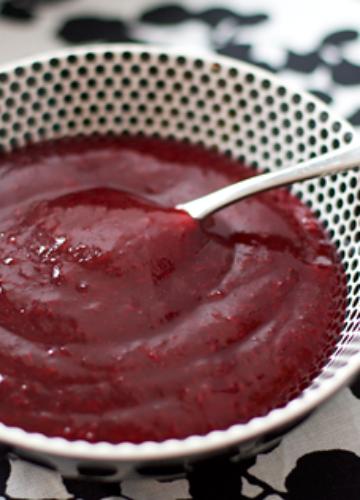 One ingredient that you may not have seen before is arrowroot powder, which serves as a thickener for the sauce. 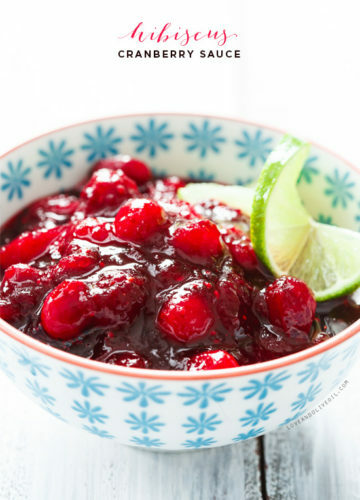 It functions similarly to cornstarch in that respect (and, while relatively easy to obtain, if you can’t find it, you can substitute cornstarch instead). 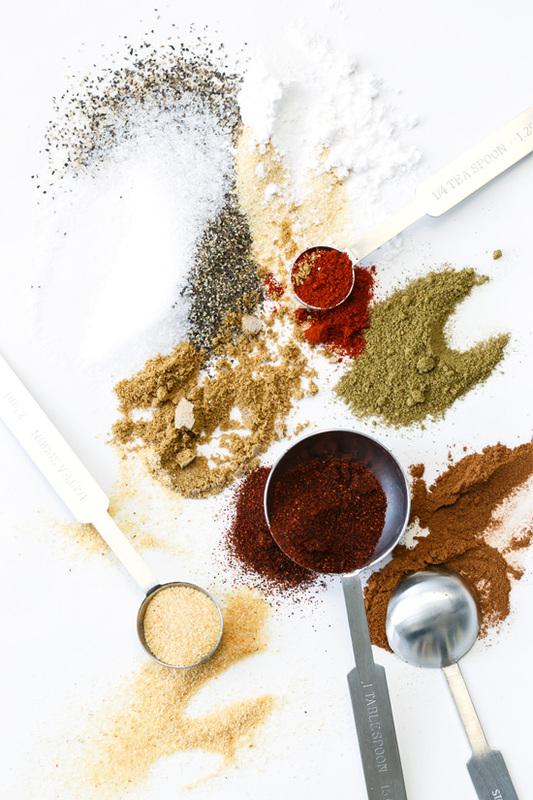 One batch of this spice mix will perfectly fill one standard size spice jar, and is enough for two pounds of taco meat (about 2 tablespoons per pound). You can use ground beef, turkey, chicken… even black beans or tofu for a vegetarian taco. Again, it’s all a matter of personal preference. Combine all spices in a small dish until evenly distributed. 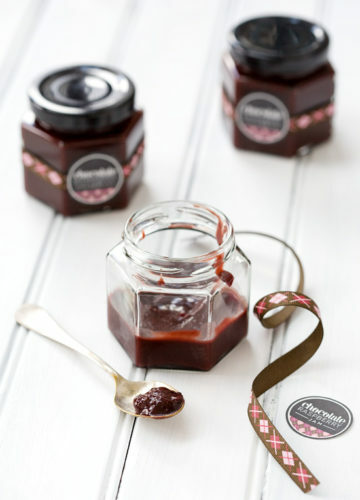 If not using right away, transfer to an airtight container or empty spice jar. To prepare tacos, cook 1 pound ground beef, chicken or turkey in a large pan over medium-high heat. If there is more than 1-2 tablespoons or so of fat, spoon out excess (if you are using lean meat you can likely skip this step). When meat is just about cooked through, add spices (2 tablespoons per pound of ground meat) and water (2 to 4 tablespoons or as needed), stirring until meat is evenly coated and fully cooked and sauce is thickened. Spoon into tortillas or taco shells and top with assorted toppings. 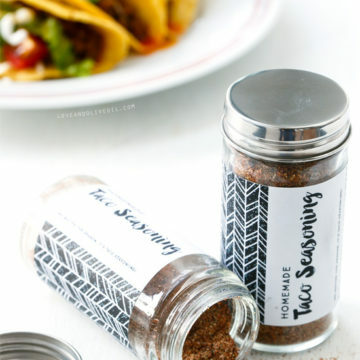 Perfect for gift giving, these modern black and white labels add personality and charm to your homemade taco seasoning. The downloadable PDF file includes six 2.25-by-4.5-inch rectangle labels, designed to perfectly fit any standard-size spice jar. PEACE OUT packets. Also, love those printables too! 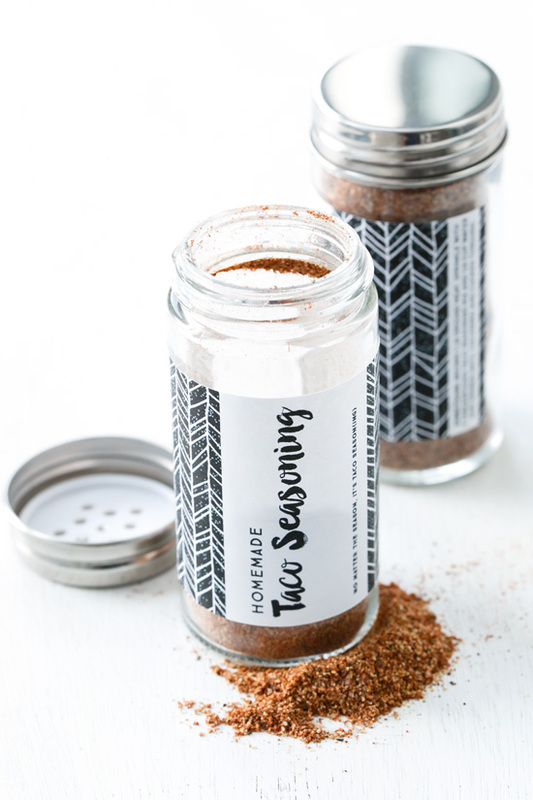 I’ve tried a couple of other taco seasoning recipes and while one was definitely better than the other, I’ll have to try this. I love the addition of cinnamon and I don’t know why I didn’t think of using something other than plain ol’ chili powder. Where did you find the labels to print your template on? I’m on the Avery site and cannot find anything that matches the dimensions you have. I print onto full sheet 8.5×11″ labels, then cut out the individual labels. Since I’m always making different size/shape labels it’s much more efficient than buying a different label template each time. :) I like OnlineLabels.com too, they have a bunch of different materials that make for some fun labels. 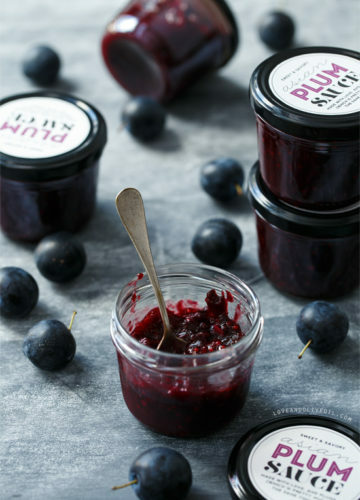 This is a staple everyone needs to have in their pantry! What a great idea! I’m always looking for homemade seasoning recipes like this. I’ve tried a few that were hit & miss, so definitely trying yours! I’ve been looking for a taco seasoning recipe! And those printables are so cute. 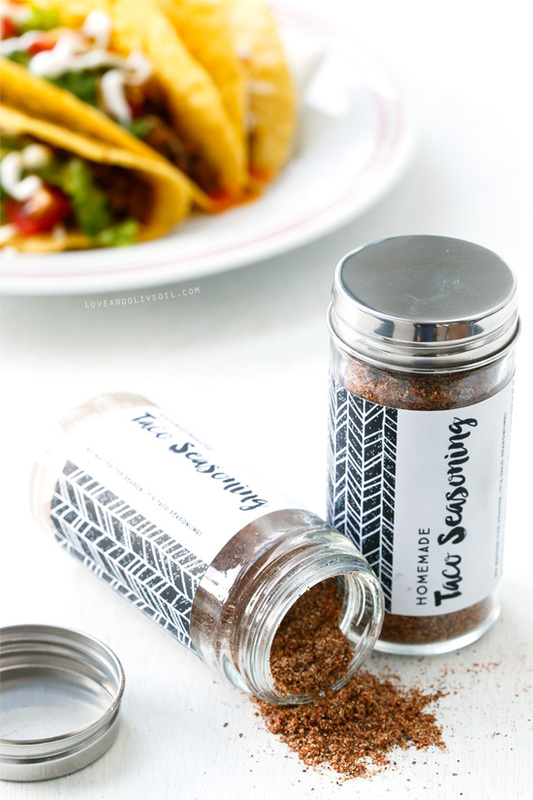 I love making my own taco seasoning, being able to control the salt and spice level. I need to get a better way to store it though as it is currently in a zip top bag with “taco seasoning” written in sharpie on it. Been making it with everything but Ancho Chile powder (don’t have any been using regular chile powder) but with only two tablespoons not three and its magic. Chile powder taste (admittedly I’m using the wrong one) was too heavy it was drowning out the other ingrediates.